Home / How to prepare for moving to California? Common sense is enough to realize how complicated a move can be. No sooner have you decided to relocate, than numerous questions start emerging in your head. Are you ready to meet the requests of your move? You will be if you collect as much information as you can and deal with some serious planning. Luckily, you are moving to California and there will be lots of people who will envy you for this. When you know how to prepare for an interstate move, moving to California won’t be much of a problem at all. In any case, here are a few hints to help you. There is a great difference between the North and South California. It is clearly visible in their cultures, attitude to life, climate, etc. So, before you start considering interstate Florida movers, decide where you want to live. You will go through some difficulties to find and buy your own place in California. There aren’t many convenient and yet affordable houses on the market. Income taxes are considerably high, which is a disadvantage. However, property taxes are below the average, so you’ll be able to handle these with your budget. If you haven’t studied Spanish, now is the right time because most people speak Spanish in California. Become one of them. Living in California is synonymous to a healthy lifestyle. So, when in Rome, do as Romans do. Go for nice walks or jogs, visit parks or surf and swim at some of the breathtaking beaches. Although it causes stress, moving to another state can improve the quality of your life, can’t it? 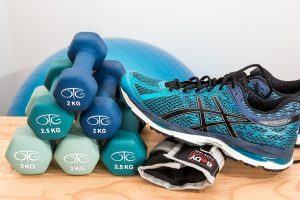 Living in California is synonymous to a healthy lifestyle. There is public transport in California, but it isn’t the most reliable one. To get somewhere on time or to be only a bit late, you’ll have to use a car. It can be annoying at times, but you’ll get used to it eventually. Unfortunately, natural disasters happen very often. Buying appropriate homeowners insurance is an excellent idea. When moving to California, it isn’t enough just to prepare your children for a long distance move. You need to find good schools, colleges or universities as well. Luckily, California has some high-quality institutions at affordable prices, so you won’t have any headaches about this. Since California is one of the biggest states in the US, it tends to be difficult to find a place to live here. 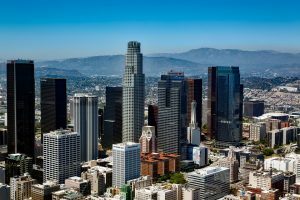 Having given some thought to it, we have come to this list of the best cities to live in California. This city in the San Francisco Bay Area has the reputation of the happiest and one of the most livable cities in California. What makes it so popular? Firstly, sunny weather. Secondly, an extremely low crime rate and excellent schools. Finally, there is a stable housing market with the median home price of about $ 950,000. Irvine is in Orange County. People living here are mostly wealthy. Furthermore, job opportunities are varied and on the increase. Then, there are lots of amenities you can enjoy in sunny weather. The city is among the safest and it has a stable housing market. The median home price here is $950,000. So, if Irvine sounds tempting to you, consider long distance movers Florida and choose the best to help you move. Palo Alto is in the center of Silicon Valley in North California. The cost of living here is considerably high, but people who have experienced it say it is worth every dollar. Lots of booming companies offer jobs to both residents and newcomers. If you are moving to California with your children, here you can find top-rated schools and lots of family-friendly places. Unfortunately, a place here will cost you $2.4 million on the average. Can you afford it? Los Angeles is in South California. It has a lot to offer to everybody. You can find a job easily in various industries. The biggest are the film and entertainment industries, of course. Life is exciting both during the day and night. If you are a thrill seeker, this is the city you’ll love. The median home price here is $850,000. Los Angeles has a lot to offer to everybody. This is a nice, affordable and livable city that might be the right choice when moving to California. It offers high-quality life to its residents due to a warm climate, healthy job market, surfable beaches, lots of outdoor activity options and excellent restaurants. The median home price here is $680,000. San Jose has been experiencing steady population growth and this isn’t without a good reason. It is one of those cities which offers overall emotional and physical well-being to its residents. It has nice weather, stable housing, and job markets, lots of amenities. The median home price here is $788,000. This isn’t the cheapest and most affordable city, but it has a lot to offer to its residents. It is close to LA, which is a great advantage. Besides, year-round sunny weather combined with beautiful beaches and amenities makes it a perfect place to live. On the average, you’ll need around $2 million to buy a house here. 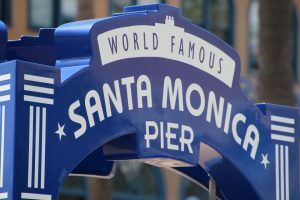 Year-round sunny weather combined with beautiful beaches and amenities makes Santa Monica a perfect place to live. Every relocation starts with making a moving checklist. It will help you not to forget anything related to the move. Start inspecting your home and getting rid of the things you don’t need anymore. You’re moving a long distance and the moving costs will depend on, among other things, the volume of your belongings. Finding a reliable and dependable moving company is of utter importance if you want a smooth and stress-free relocation. Do research seriously and find the one that suits you. Also, keep your eyes peeled to avoid moving scams. Finally, prepare all the necessary paperwork for moving to California. Some of these are the change of address, notifying utility companies, forwarding your snail mail, transferring your driver’s license, etc. It takes 7 to 10 days to complete all the paperwork, so start on time.